NYrture Food is committed to creating fresh, honest food with probiotic power and of the highest quality. We believe that nurturing our microbiome is a vital part of the recipe for optimal health. We are also committed to providing credible, evidence-based educational information about the microbiome and the utility of probiotic foods. Our first product, natto, is an ancient Japanese fermented food with proven probiotic power and unique nutritional benefits. We aim to demonstrate that natto can be a delicious and versatile addition to our diet. 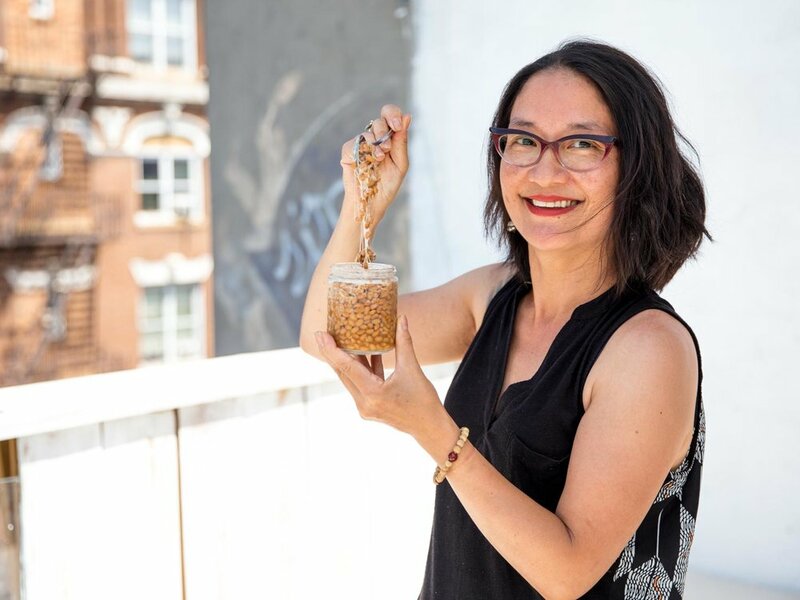 NYrture Food was founded by Ann Yonetani, a microbiologist with life-long passions for both food and science. As a professor at the New School university in New York, she teaches about the intersection of these two worlds in the Food Studies department. Before becoming a natto maker, Ann worked for over 15 years as a biomedical research scientist in labs at Columbia University, Harvard Medical School, UCSF, Cold Spring Harbor Laboratory and the Basel Biozentrum. Along the way, she also enjoyed cooking in restaurants and soup kitchens in Philadelphia, San Francisco and Boston. She received her BA in Biology at the University of Pennsylvania, MS in Biochemistry from the University of California, San Francisco, and PhD in Microbiology from Columbia University College of Physicians & Surgeons.